Photo of Frida Kahlo and her Doctor. 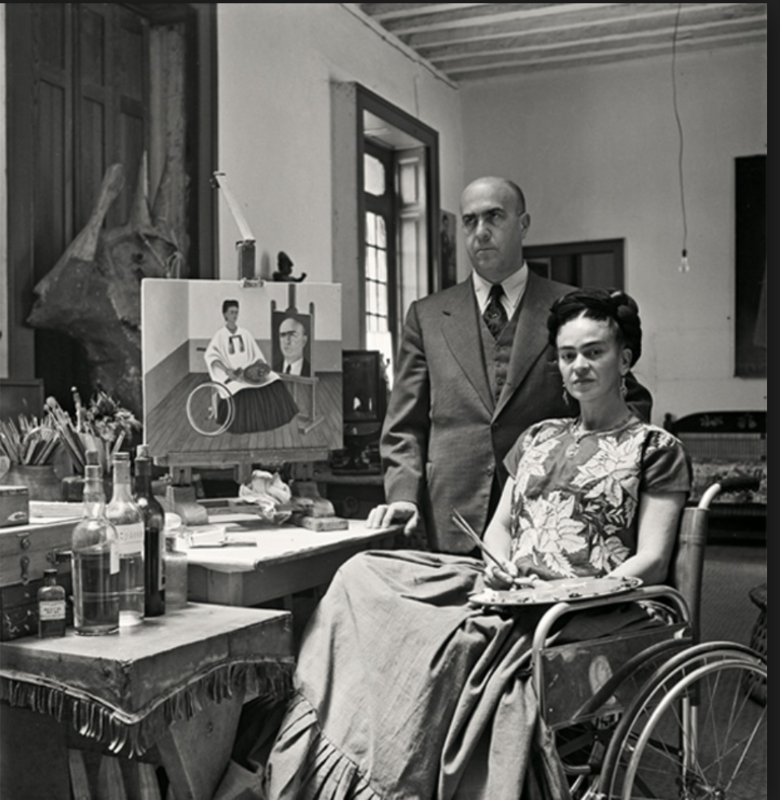 Frida is in a wheelchair, the doctor is standing behind her. She has paint brushes in her hands and they are standing next to a portrait of her painting his portrait.